Dubai: The UAE has proven yet again that it is a magnet for the super-wealthy, as can be gleaned from the latest intelligence data from a millionaire migration tracker. New World Wealth told Gulf News on Tuesday that the number of ultra-rich individuals opting to make the UAE as their home continued to increase last year, with approximately 5,000 millionaires migrating into the country in 2016, compared to 3,000 in 2015. 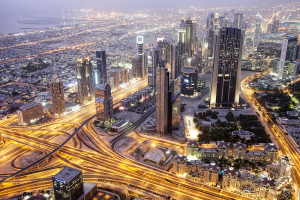 The UAE continued to beat out other destinations in the Gulf Cooperation Council (GCC) region, with Qatar – also a strong contender – attracting only 2,000 millionaires during the same period. “The UAE’s low tax rates and high safety levels make it particularly attractive to high-net-worth individuals (HNWIs). It also boasts several fast growing sectors including financial services, technology, healthcare and media,” Andrew Amoils, New World Wealth analyst, told Gulf News. A huge chunk of the millionaires moving to the UAE originated from Turkey, which saw a big outflow of super-rich residents, accounting for 6,000 millionaires, in 2016 due to all the problems in the country. Globally, Australia remains the top country for millionaire inflows, ahead of traditional destinations such as the United States and the United Kingdom (UK). According to New World Wealth, an estimated 11,000 millionaires moved to Australia in 2016, compared to 10,000 that moved to the United States and 3,000 that transferred to the UK. Australia’s great healthcare systems, warmer climate relative to colder countries like the UK, superior growth rate and proximity to emerging Asian economies are proving attractive to millionaires. “Australia has one of the best healthcare systems in the world. In the UK, the National Health Service is deteriorating, while in the US, the mandated healthcare insurance (Affordable Care Act enacted in 2010) has not turned out well for wealthy and middle class patients,” New World Wealth said. Other countries that also experienced significant influx of HNWIs in 2016 included Canada and New Zealand. On the other hand, destinations like France, Brazil and Turkey lost large numbers of millionaires. In France alone, over 12,000 wealthy residents left in 2016, as a result of the rising religious tensions between Christians and Muslims, especially in urban centres.